A kitchen backsplash is one of the prominent accents in a kitchen design. 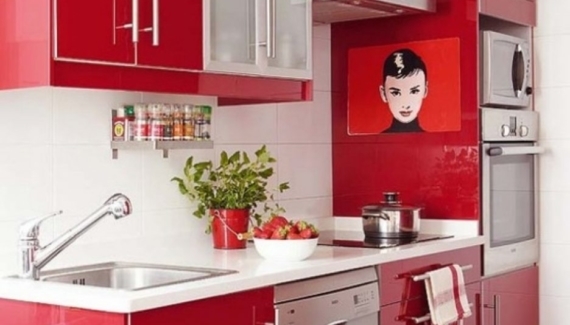 Choosing the right kitchen backsplash design will immediately improve your kitchen look. 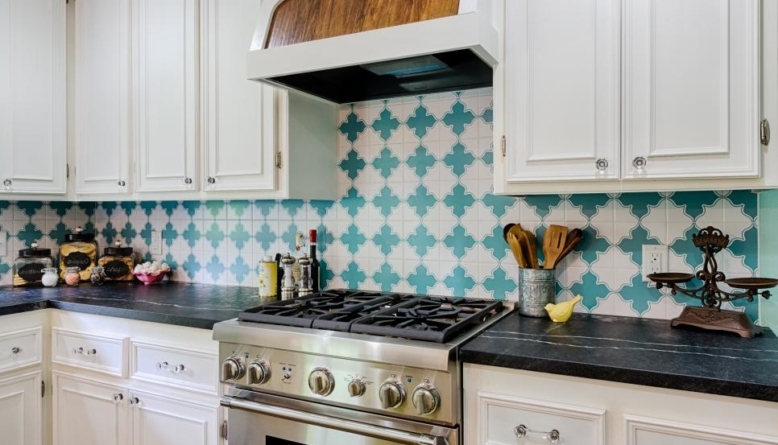 Here are some ideas before you order a backsplash installation in the kitchen. White cabinets give you two inspirations for a backsplash. 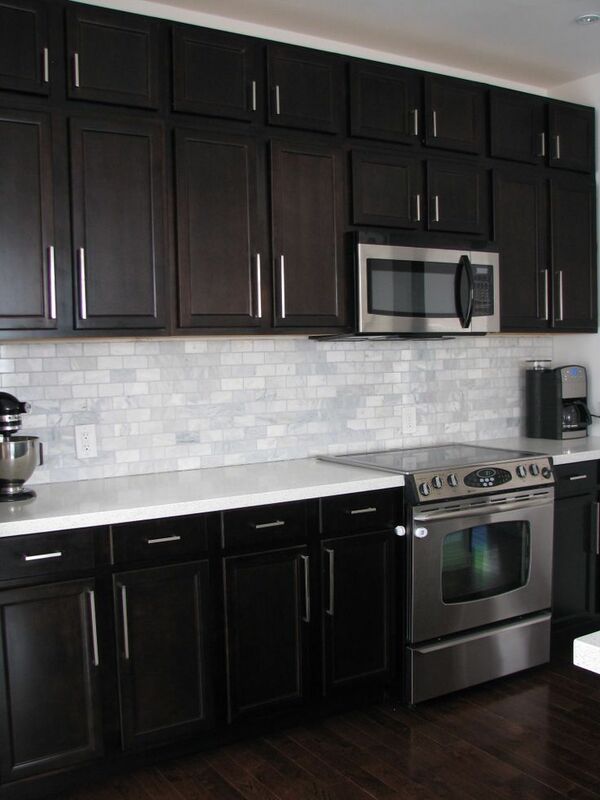 You can choose light backsplash for spacious, bright look, or darker backsplash to create an elegant contrast. If you choose white or light backsplash, try playing with textures to prevent “boring” look. 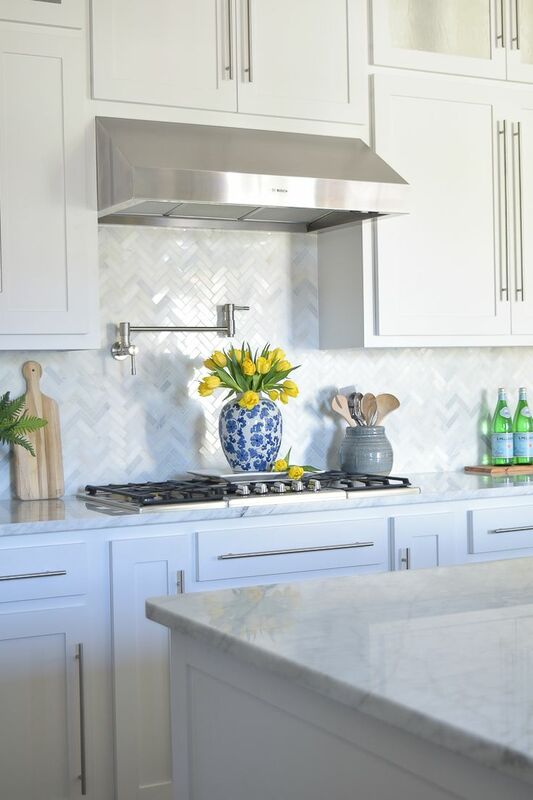 For example, try installing white bricks or textured white stones as your backsplash, to create quiet white elegance. However, if you go the other way, install colorful or bright backsplash with mosaic tiles or murals. Dark cabinets may look elegant and sophisticated, but if your kitchen is small, an overly dark design can make it look smaller. Balance a dark cabinetry with lighter backsplash, such as white, cream, beige, or various light shades. If you want to have patterns, make sure they are subtle. If you have a spacious kitchen and white or light walls, you can pair dark cabinets with dark but contrasting backsplash. For example, pair dark wood cabinets with tiny metal scales or red mosaic tiles for the backsplash. 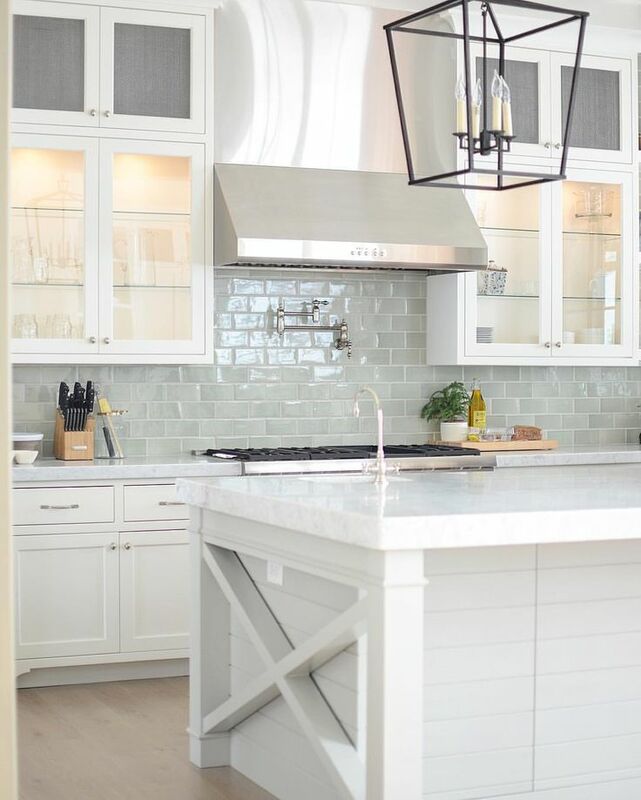 Finally, if you are the simple type that does not like a complicated design, subway tiles are the popular choice for the backsplash. They are subtle, simple, and available in various sizes and colors. You can pair them with light or dark cabinets. There are various styles of subway tiles: marbles, porcelains, ceramics, glasses, and slates. You can choose the ones that are well-blended into your kitchen design. If you want an accent, you can install mosaic ornaments on top of the tiles, for example as a “mosaic line” that extends over the entire backsplash. 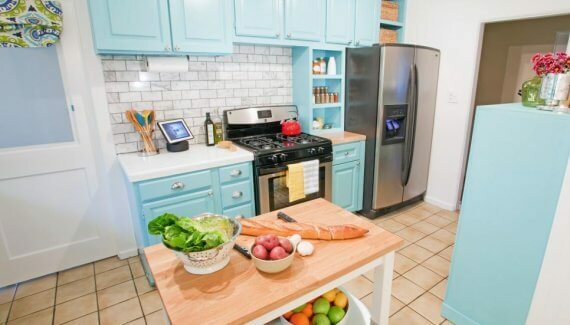 The right backsplash can instantly transform your kitchen. 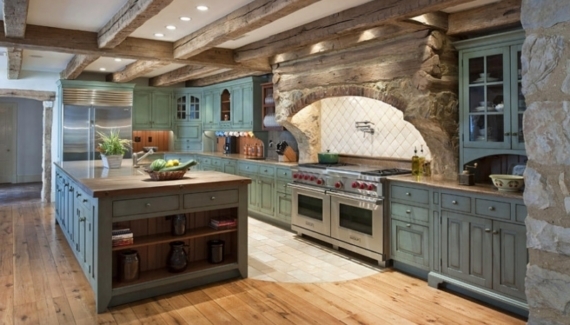 Choose the right kitchen backsplash design to create your dream kitchen the right way.